The DR10P is a pilot-operated, spring-loaded, spool type pressure reducing valve. Indeed, if the pressure across port 1 exceeds the preset spring tension, the pilot-stage opens and oil flows from behind the main spool to the tank port 3. Therefore, the resulting pressure differential causes the main spool to move against the reset-spring and allows oil to flow from port 2 to port 1. 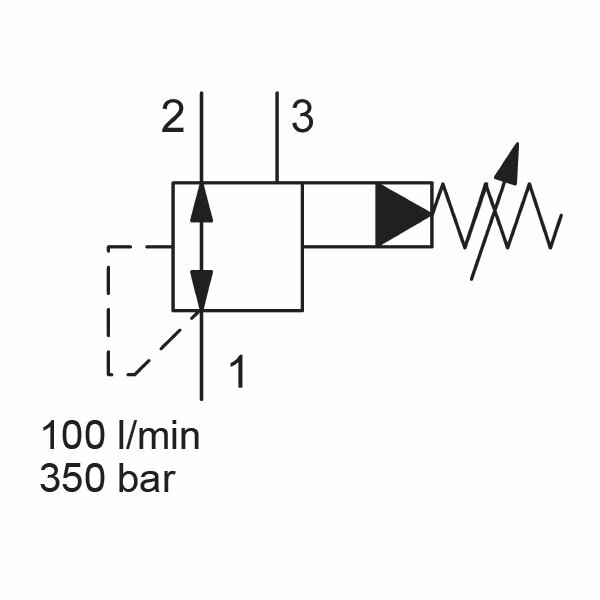 This continues until the system pressure is equal to the spring tension and the valve closes again. If the pressure at port 1 suddenly rises due to external force the valve is relieved to tank port 3 (maximum pressure relief). Also, any pressure at port 3 is additive to the valve pressure setting.